Fundamentals: The Euro notched its fifth positive session out of seven since bottoming after the ECB announced it will reintroduce TLTRO on March 8th. Early gains today dissipated a bit after the German Bundesbank released its Monthly Report which highlighted the economic slowdown that has so far dodged a recession. Also weighing on the tape was a weaker British Pound after the Speaker of the House said Prime Minister May could not bring her Brexit deal to another vote without notable changes. Overall, this was a quiet start to the week, but it won’t stay this way long. Tomorrow morning, we look to pivotal reads on ZEW German and Eurozone Sentiment and wage data at 5:00 am CT. At 9:00 am CT, January Factory Orders data from the U.S and Cap Goods Shipped Non-Defense are due. The Fed also kicks off their two-day policy meeting tomorrow, they conclude Wednesday at 1:00 pm CT and are not expected to hike rates. In our Tradable Events this Week, we dive into some of the things we are watching for from the Fed this week and the markets they could shake up: click here to read. Technicals: After a steady recovery, the Euro faces strong overhead resistance at 1.1442-1.1450. This major three-star level aligns multiple indicators including a key .382 retracement and a trend line from the January peak; each define the Euro’s downtrend in their own manner. The Euro must close out above here in order to break the imminent downtrend and signal that this seven-session recovery is not merely a dead cat bounce. The bulls hold a near-term edge in attempting this resistance as long as price action stays above our 1.1414 pivot. A failure to do so would encourage waves of selling down to 1.1336-1.1337. Fundamentals: The Yen has held ground well despite an ever-expanding risk appetite. Typically, when equity markets rise, the Yen fades. Although it has trended lower for much of the year, it has been constructive over the last week as stocks continue to extend yearly gains. Treasuries and Gold have also been buoyed by a sense of central bank dovishness and Wednesday’s FOMC policy decision is quickly approaching. 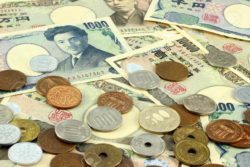 There is no data out of Japan tonight, but we do look to critical sentiment reads from the Eurozone and Factory Orders from the U.S to set a tone in the AM. Technicals: Price action is consolidating and tethered to the psychological .9000 mark. The roll was very healthy for the Yen in that the June contract is now out above the continuous 200-day moving average. Still, price action must now do something positive and a start would be closing out above first key resistance at .9051-.9076. A failure to hold .9008 on a closing basis will again give the bears an edge. 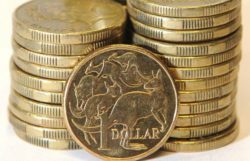 Fundamentals: The Aussie jumped this morning along with commodity prices as the U.S Dollar lingers lower ahead of Wednesday’s Fed policy meeting. Risk sentiment has been boisterous over the last week and this has helped to keep a bid on the currency despite conflicting and frankly concerning news on the U.S and China trade front. President Trump and President Xi are now not expected to meet until June and the March 1st deadline has been erased. Furthermore, U.S Trade Representative Lighthizer’s Congressional Testimony last week would make you believe the two sides are further apart than headlines suggest (such as a great phone call between the sides on Friday). Overall, maybe no news is good news for now. Tonight, RBA Assistant Governor Kent speaks at 5:00 pm CT. House Price Index is due at 7:30 pm CT and the Minutes from the latest meeting are also released then. Technicals: The Aussie has finished green in six out of the last seven sessions gaining just about a penny. This slow grind higher from oversold territory is testing major three-star resistance at .7117-.7130 and this aligns a key retracement level and a trend line. Like the Euro mentioned above, each indicator defines a recent downtrend. We see good value fading the slow grind higher, but you cannot stay short upon a close above this level. Fundamentals: The Canadian was elevated today by another strong session for Crude Oil and a soft tape for the Dollar on the heels NAHB Housing coming in just below expectations. 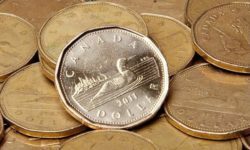 Overall, the Canadian has worked hard to hold its ground despite a potential dovish twist by the Bank of Canada and extremely inconsistent economic data. There is no data out of Canada until Thursday and Friday. Until then, keep a close eye on the overall risk-environment, Crude Oil and the Dollar. Technicals: Price action has struggled to climb out above the 50% retracement from the February high. We find the tape vulnerable due to the extreme overhead resistance at .7600 which we believe will deter buyers unless there is strong fundamental news. A continued close below .7516 and furthermore below .74945 will encourage the bears to take a shot.